Edward Joseph Dent (1876-1957) was a music critic who was Professor of Music at Cambridge University from 1926 to 1941. 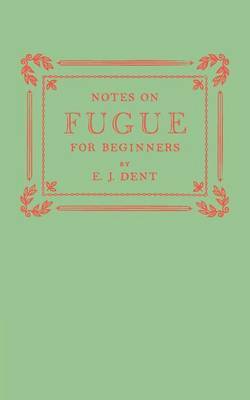 Originally published in 1958, this book presents a concise guide to the structural elements of the fugue aimed at the beginner. This book will be of value to anyone with an interest in music criticism, the history of education and the writings of Dent.